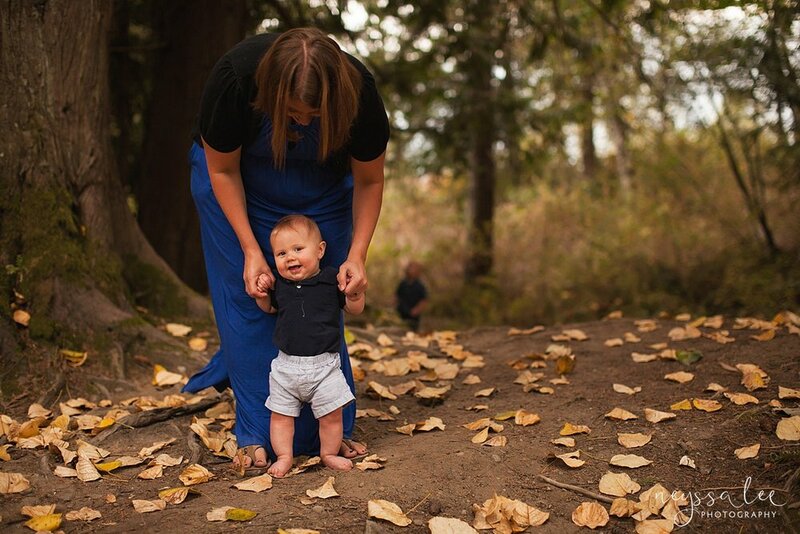 What happens when a toddler only wants to play during family photos? The wonderful thing about toddlers is their curiosity. Everything is new and exciting and they allow us to see the world through their eyes. Of course, this can mean they don't want to sit still during family photos, which is perfectly okay with me. In fact, I expect the low attention span of toddlers and thrive off of their joys of discovery. Plenty of games and new directions allow for beautiful family photos. 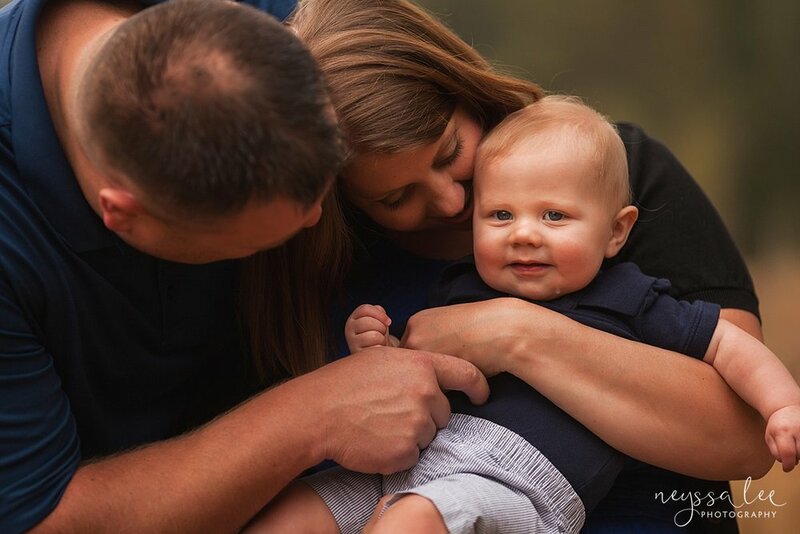 During this family session, their sweet 2 year old wanted nothing to do with mom and dad. That was okay, because I was ready. I explained to mom and dad that no matter what look excited and happy as we were going to play some fun games and explore some new areas of the park. We threw rocks, we played in the leaves, and we stomped monsters. When he was ready for a new adventure, I asked him to go tickle mom and dad, At the end mom picked him up and spun in circles, for the best smiles the whole day. Let them explore, they are only little once. This mom wanted family photos of her family right now, and that's what we did. I captured their connections, their games, their love and no one had to sit still and smile and pose. When their toddler needed a little extra room, we let him explore and focused on baby brother. I'm pretty sure dad left the session unsure if I got a single frame of them as a family. 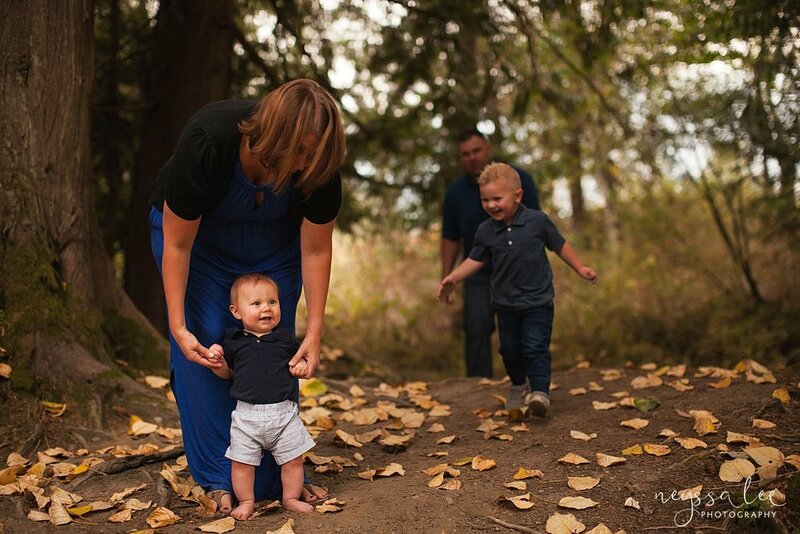 For him, their session was much more chasing toddlers around the park and playing games then what family photos normally feel like. In my book, that's a successful session - one where it doesn't feel like "family photos" and instead a fun experience at the park. Neyssa Lee shares tips on what to wear for family photos. Neyssa Lee shares photos from a family session to announce they were adopting a daughter this summer.